Tessellate the parallelograms by sliding them up, down, or sideways. Double click the yellow parallelogram to rotate. 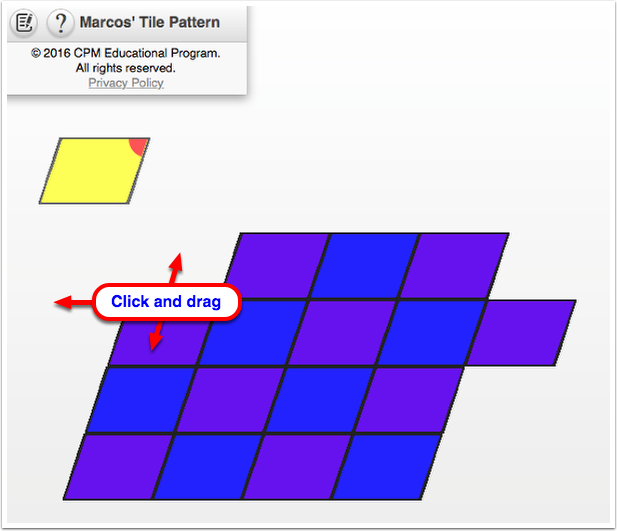 This is an interactive eTool about Marcos’s Tile Pattern. 1. 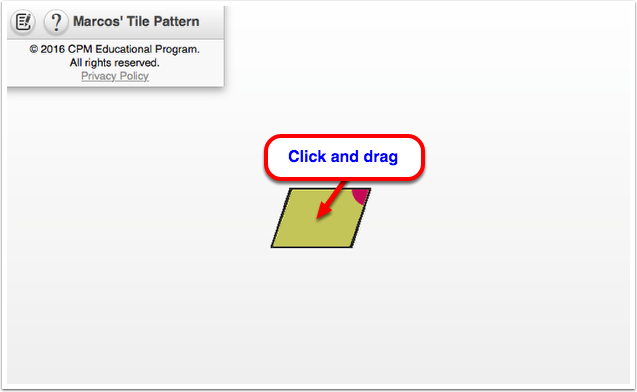 Click on the yellow tile and drag it away from the blue tile. 2. 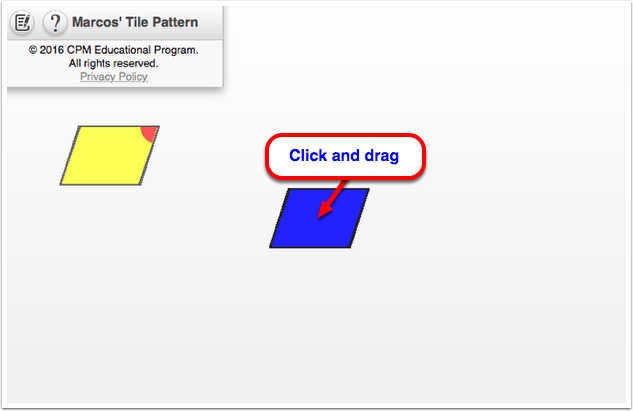 Click the blue tile and drag horizontally or vertically to tessellate. 3. Click and drag until the entire space is covered. 4. 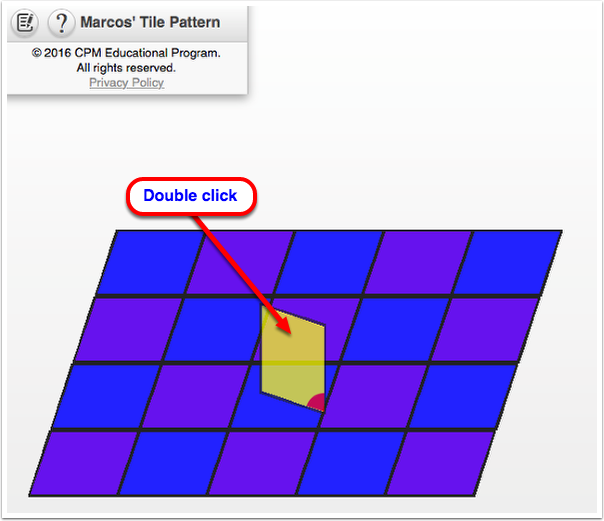 Double click on the yellow tile to rotate at 90 degree intervals.